Product prices and availability are accurate as of 2019-04-20 22:25:46 EDT and are subject to change. Any price and availability information displayed on http://www.amazon.com/ at the time of purchase will apply to the purchase of this product. Dry air can cause all sorts of unpleasantness from itchy skin to sore throats to irritated eyes. 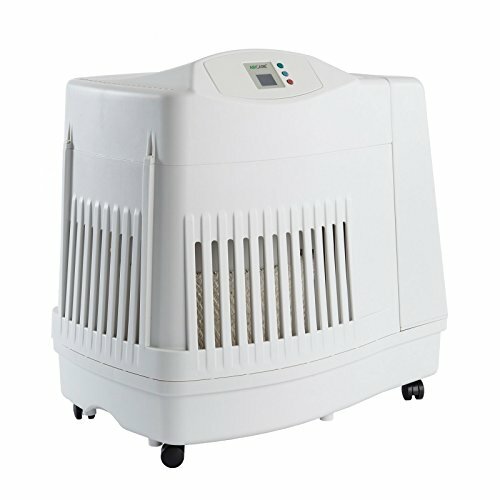 The Aircare MA1201 Evaporative Console Humidifier helps improve your indoor humidity and create an oasis from the outdoor conditions. 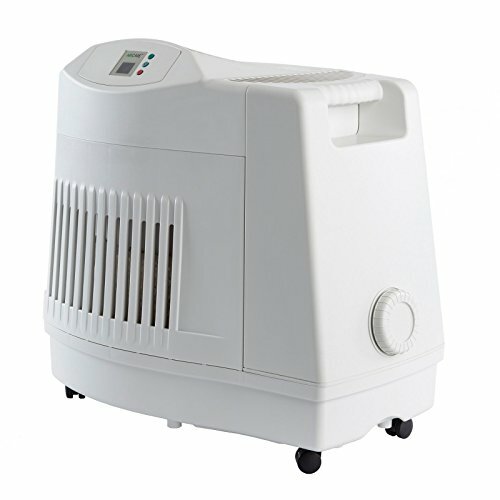 This compact humidifier is easy to use and services a wide area (up to 3,600 square feet). A digital display and controls makes it simple to set your desired humidity level and monitor the humidifier's progress. A 4-speed motor (with automatic setting) lets you control the output power while an evaporative wick intercepts particulates and impurities to ensure you're only producing crisp, clean air. The easy-fill 3.6-gallon tank has filter-check and refill indicators, letting you add up to 12 gallons of moisture to the air per day. Casters are included for mobility. Dimensions: 21.5W x 14.5D x 20.5H in.. Durable gray plastic frame. Covers up to 3,600 square feet. Easy-fill 3.6 gallon tank. 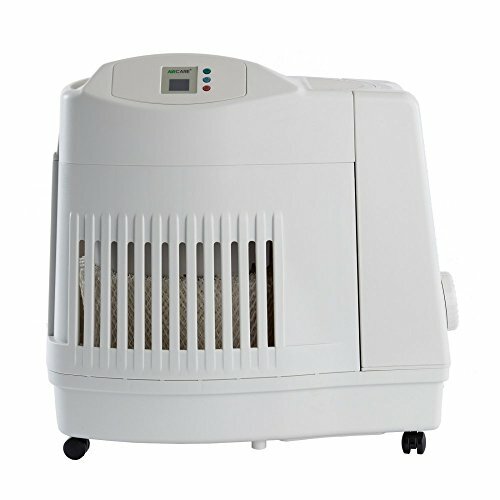 4-speed fan motor with auto setting. Adjustable humidistat with auto shutoff.